DAVID WALLINGA, MD, NRDC Senior Health Advisor, Healthy People & Thriving Communities. Dr. Wallinga and NRDC have kindly allowed us to repost this article from the original on the NRDC blog. It’s also a striking contrast to Europe, as the U.S. livestock industry is using medically important drugs almost twice as intensively (95 percent more) than the industries in 30 European countries, collectively. 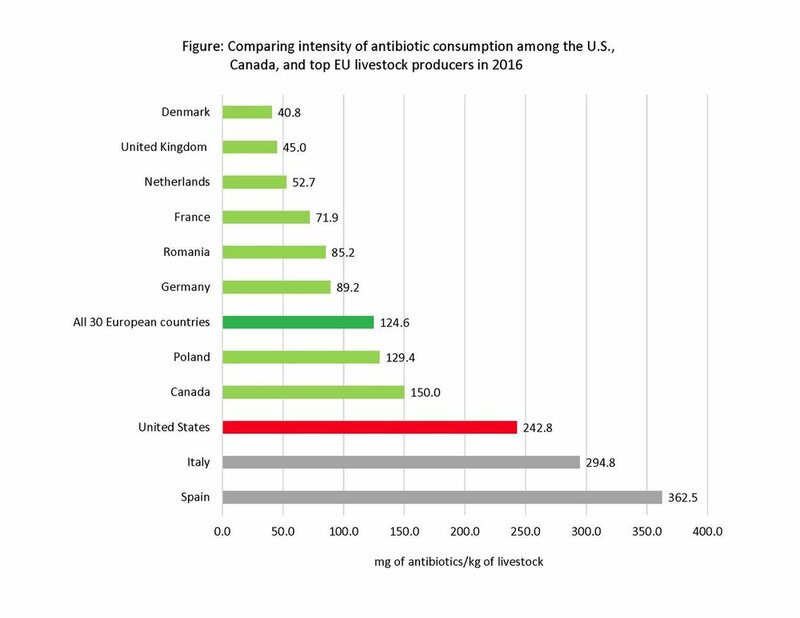 And, in the case of pig and cattle production, the U.S. industries are using these precious antibiotics far more intensively than their counterparts in France, the United Kingdom, the Netherlands, and Denmark, all of which are major livestock producers—comparable in size to major livestock-producing states in the U.S.